Ever wonder what happened as a result of the scathing Bloomberg News article about NeighborWorks, which we looked at and dismissed as largely hyperventilation connected to Congressional Republicans’ concerns about Department of Justice settlement agreements with banks? We have too, and so far, we can’t find much. Actually, we can’t find anything. It looks like the NeighborWorks America network, rather than being thrown off kilter by the Bloomberg piece and the Republican critique, is simply plugging along doing what it has always done to rebuild and revitalize urban and rural communities. Thirty-four percent of adults in America don’t have any emergency savings. That’s an increase from 29 percent a year ago. There was an increase in the percentage of people—47 percent, up from 41 percent—who had enough saved in an emergency fund to carry them for at least three months. But, as NeighborWorks points out, the average unemployed person was out of work for 31 weeks. People who earn more money typically have more to save. But even among the folks who earn a lot, there’s much room for improvement. 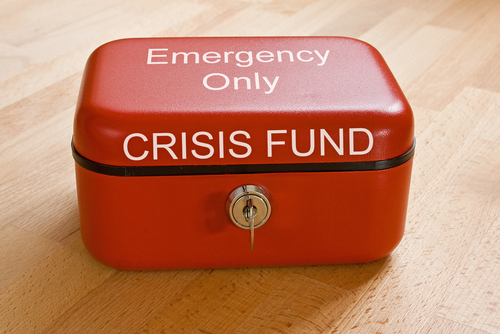 About 19 percent of people making $100,000 or more per year said they have no emergency fund. Singletary recommends that people who are in financial holes seek financial coaching, available through many members of the NeighborWorks America network and through the Financial Opportunity Centers that have been created by or are receiving assistance from another national community development intermediary, the Local Initiatives Support Corporation (Full disclosure: this author was once a vice president of LISC). The Bloomberg article, whether intended or not, was published at roughly the same time that the Department of Housing and Urban Development awarded $44.8 million through the NeighborWorks National Mortgage Foreclosure Mitigation program to 25 state housing agencies, 18 housing counseling intermediaries, and 68 community-based NeighborWorks America member organizations. NeighborWorks also has set aside part of the HUD money to train 1,600 mortgage foreclosure counselors. Roughly a week after the Bloomberg article, one of the most respected community development organizations in the nation, Coastal Enterprises Inc., announced with pride that it had become one of the newest members of the NeighborWorks America network. Serving rural Maine for the most part, CEI is the state’s largest provider of housing counseling services in addition to its work in producing and managing affordable housing. Rather than being scared away from a national network allegedly in “turmoil,” CEI and other credible nonprofit community development groups are signing up with NeighborWorks to participate in and learn from the foreclosure counseling knowledge and experience of the NeighborWorks America staff and trainers as well as their peers within the network.